Kallikrein-8, a serine protease, is a target for structure-based drug design due to its therapeutic potential in treating Alzheimer’s disease and is also useful as a biomarker in ovarian cancer. We present a binding assessment of ligands to kallikrein-8 using a residue-wise decomposition of the binding energy. Binding of four putative inhibitors of kallikrein-8 is investigated through molecular dynamics simulation and ligand binding energy evaluation with two methods (MM/PBSA and WaterSwap). 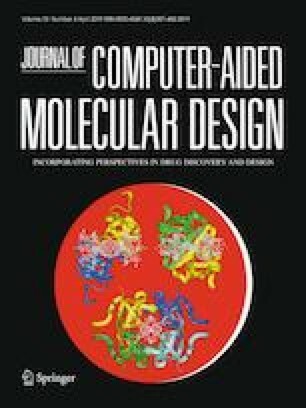 For visualization of the residue-wise decomposition of binding energies, chemical energy-wise decomposition or CHEWD is introduced as a plugin to UCSF Chimera and Pymol. CHEWD allows easy comparison between ligands using individual residue contributions to the binding energy. Molecular dynamics simulations indicate one ligand binds stably to the kallikrein-8 S1 binding site. Comparison with other members of the kallikrein family shows that residues responsible for binding are specific to kallikrein-8. Thus, ZINC02927490 is a promising lead for development of novel kallikrein-8 inhibitors. The online version of this article ( https://doi.org/10.1007/s10822-019-00200-4) contains supplementary material, which is available to authorized users. SSA and SR would like to acknowledge International Science Foundation (IFS) for the grant IFS-5546, and Higher Education Commission (HEC), Pakistan for their financial assistance and IRSIP funding. CW would like to thank the EPSRC for funding via an EPSRC RSE Fellowship (EP/N018591/1). MWvdK is a BBSRC David Phillips Fellow and thanks BBSRC for funding (BB/M026280/1). AJM would like to thank EPSRC (Grant No. EP/M022609/1, CCP-BioSim (ccpbiosim.ac.uk)) and with KER thanks the BBSRC for funding (Grant No. BB/M000354/1). This work was carried out using the computational facilities of the Advanced Computing Research Centre at the University of Bristol http://www.bris.ac.uk/acrc.